Many computer users have one thing in common: They drink coffee, lots of it. The coffee dregs usually lands in the bin. 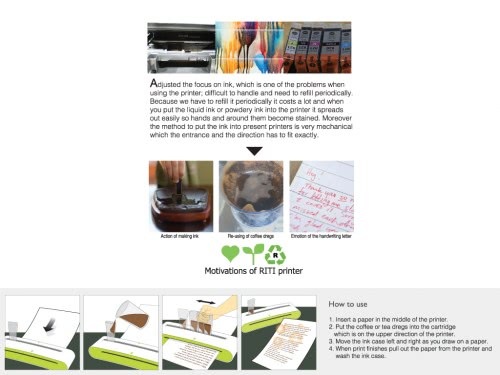 This can be a thing of the past if the eco-friendly printer RiTi makes it from concept to prototype in the near future. 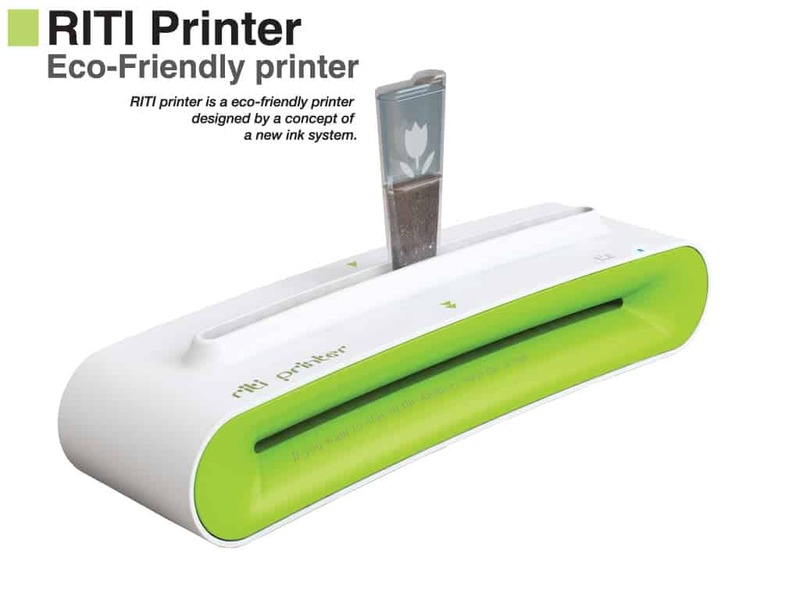 The RiTi Printer replaces traditional printer ink with coffee or tea dregs. Anyone who ever tried to print with coffee grounds knows that the colors are lighter than printouts with printer ink. They are on the other hand perfectly readable which might make them a good alternative for internal use. 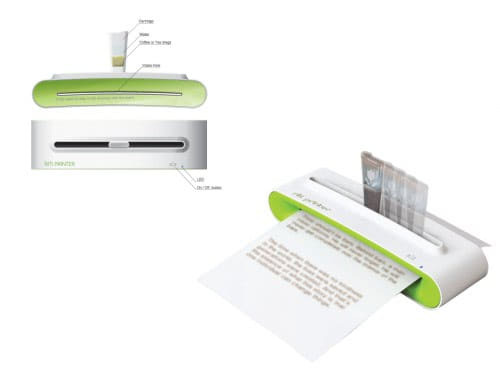 The concept of the RiTi printer goes further than that. It does not require a power source for the actual printing process which is also something that traditional printers require. The printout is created by moving the ink case left and right manually. This obviously means that this method is not suited for printing out many papers at once. The RiTi printer could on the other hand prove to be the printer of choice for environmentally interested users who do occasional printouts. great idea, pity that is all it is. It’s a good product! An eco-friendly and quality item that is worth considering.